If Randy Clay were to brag a little bit, it would be understandable. They guy is an owner of a very popular local brewery after all. In fact, he’s the brewmaster, which means he is directly responsible for the creation of one of the prime reasons for the brewery’s popularity: the beer. But try to get him to take credit for any of the success at Imminent Brewing, and he will quickly point out that his partners have more contact with the paying customers than he does. Or ask him about his time with Bon Appetit as the Board Manager of the on-campus food service at St. Olaf College, when his cafeteria was regularly being ranked among the top five in the country, and he’ll talk about the executive chef or how Bon Appetit is a “great company.” Ask him about the medals he has won as a competitive home brewer, and he will conveniently forget the name of the 1000 entry contest in Chicago where he won a gold medal and a 3rd Place Best-in-Show for his pale ale. When he points out that he and Jimmy Stewart are from the same home town, Indiana, Pennsylvania, and his interviewer then asks if all people from Indiana are as charming as he and Jimmy Stewart, he’ll just mock the question. He’s a humble guy. And he makes some darn fine beer. Born and raised in Western PA, he’ll tell you that the first transformative time in his life came when he moved from his hometown to Colorado. Not just because it was the first time he saw the better part of the country, and not just because it was where he honed his hospitality skills as a server at the Vintage Hotel in Winter Park and the Grand Lake Lodge on the Western edge of the Rocky Mountain National Park. Mostly it’s because that was when he met Northfield native Tonja Larson, the woman he would one day marry. It’s also because that was when he was introduced to the world of craft beers. “I knew there was more to life than Macro Beer, but then when I got to Colorado, my mind was completely blown. This was the mid-90’s, and micro-brews were starting to happen out there. Not to the level they are happening now, but Colorado has always been ahead of the curve for brewing and craft brewing. Even back then New Belgium brewing was underway with Fat Tire, there were a couple others in Fort Collins. Boulder Brewing was another one back then. And there were a couple little tiny ones, like Silver Plume Brewing Company, right off of I-70 near Breckenridge. They had a Blackberry Porter that changed my life. 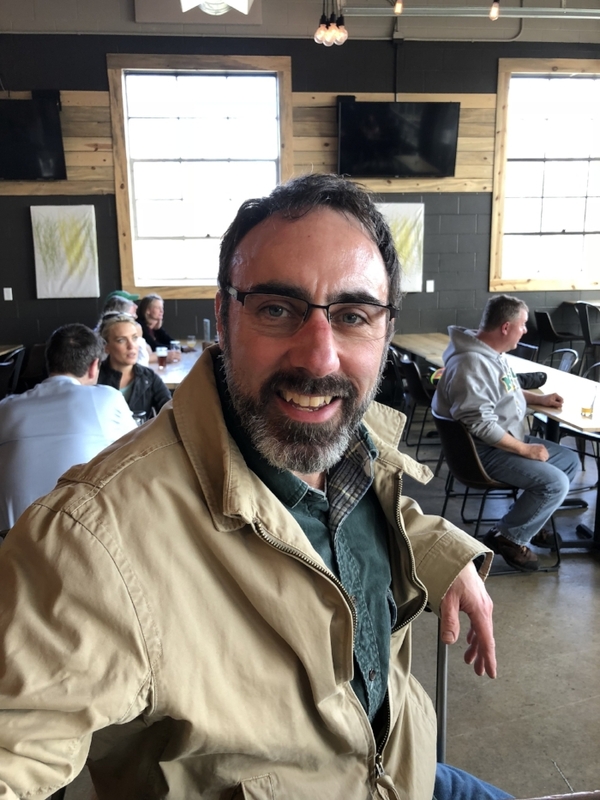 After a few years in Colorado, he followed Tonja back to Northfield, and that was truly where his brewing career began in earnest. Over the next twenty years, Tonja and Randy got married and started a family. Randy went to work for the Leann Chin Company as a manager and trainer, and then took his position with Bon Appetit. All the while he was honing his skills as a brewer. But he eventually hit a point where he had become frustrated. Thinking, and rightly so, that there had to be more home brewers in Northfield than just him, he and Gabe Meerts founded Northfield’s now famous Mill Town Mashers Home Brew Club. And it was with the Mashers where he eventually met Laura and Derek Myers, with whom he and Tonja would found Imminent Brewing. “When we started talking about this, I started taking steps to make sure I could do it. I met with other professional brewers who had started out as home brewers, and I started brewing with any pro brewer that would let me brew with them on their system. I took some online classes. I knew enough to know that I didn’t know everything, and I was confident that I could make it happen. But I didn’t want to be cocky and do this just because I make really good beer. There’s a lot more that goes into it than that. But, like we said, he does make really good beer. Randy says the his best recipe is probably the Gateway Cream Ale, because it’s the beer he’s made the most and worked at the longest. But he teasingly says his favorite beer that he makes is a Munich Dunkel that has not yet appeared on the Imminent menu. So, honestly, though, there has to be some point of pride in being one of Imminent Brewing’s four cornerstones, isn’t there? And then the humility quickly kicks back in.